This lecture will cover the building of the railway lines in the Limerick area, and will also look at the people involved and the times in which they lived. 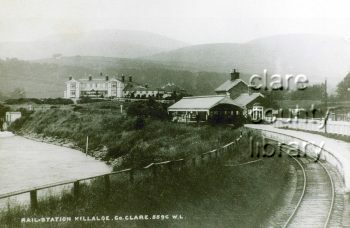 Although only four miles in length with its connection to the main line at Birdhill, the long closed Killaloe branch will be well featured in the presentation, which promises to be both informing and entertaining. Admission is free and all are welcome.